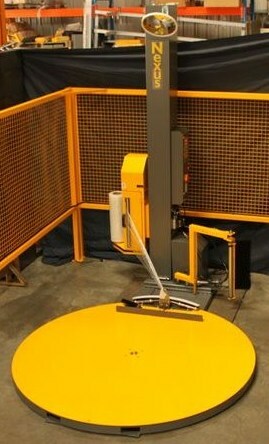 The NX-A360 is designed to opearate as a Stand-Alone Fully Automatic Pallet Wrapper. Great Features, Affordable, Save Times and Monies, NO MORE RUNNING ON AND OFF FROM THE FORKLIFT TO ATTACH THE FILM AND PRESS THE START BUTTON...AGAIN? Please contact us to find out how we can take your packaging further today.